Published: Dec. 31, 2017 at 04:11 p.m. The Minnesota Vikings defense stuffs Chicago Bears running back Tarik Cohen on fourth down to seal victory. Published: Oct. 29, 2017 at 12:34 p.m.
Cleveland Browns quarterback DeShone Kizer sacked for a loss of 11 yards vs. the Minnesota Vikings in Week 8 of the 2017 NFL season. 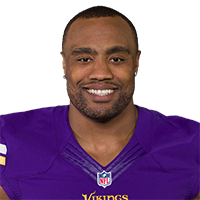 Published: Oct. 9, 2017 at 09:49 p.m.
Minnesota Vikings defensive end Everson Griffen strip-sacks Chicago Bears quarterback Mitchell Trubisky, the Vikings recover. Published: Jan. 1, 2017 at 03:35 p.m.
Chicago Bears QB Matt Barkley sacked, Minnesota Vikings defensive end Everson Griffen returns for 20-yard TD.